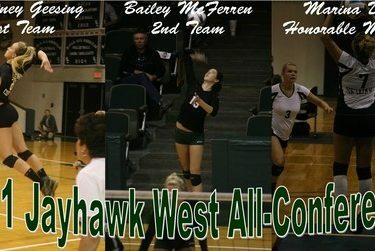 have been named Jayhawk West All-Conference as well as All-Region VI. averaging 2.29 kills and 1.43 blocks per game in conference action. 6th in the country while also contributing 1.99 kills per game. double-doubles in 10 of the Lady Saints 11 final matches of the season.